We’ve heard feedback from businesses of all sizes that they need simpler ways to manage the analytics products they use and the team members who use them. That’s why we’re making new controls available to everyone who uses Analytics, Tag Manager, and Optimize and improving navigation for users of Surveys and Data Studio. These new features will help you more easily manage your accounts, get an overview of your business, and move between products. 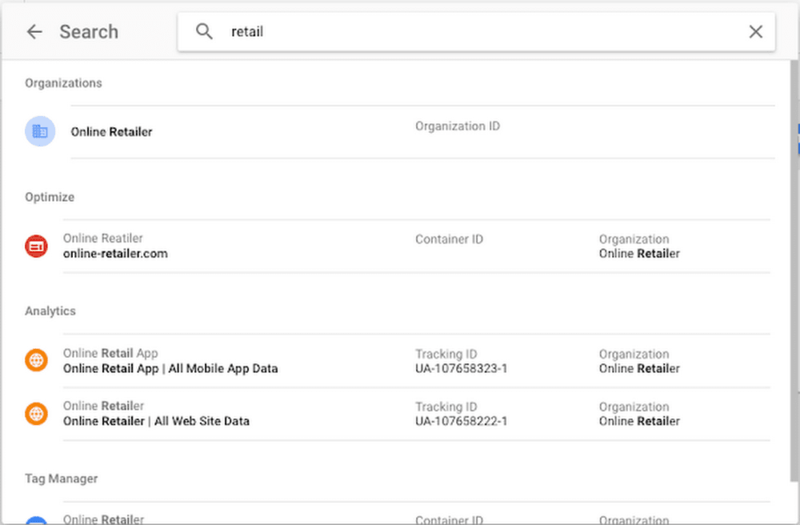 With centralized account management, you can control user access and permissions across multiple products, like Analytics, Tag Manager, and Optimize. The first step is to create an organization to represent your business. You then link this organization to all of the different accounts that belong to your business. You can also move accounts between the organizations you create. Setting up an organization also gives you access to a new home page that provides an overview of your business. You’ll be able to manage accounts and settings across products and get insights and quick access to the products and features you use most. 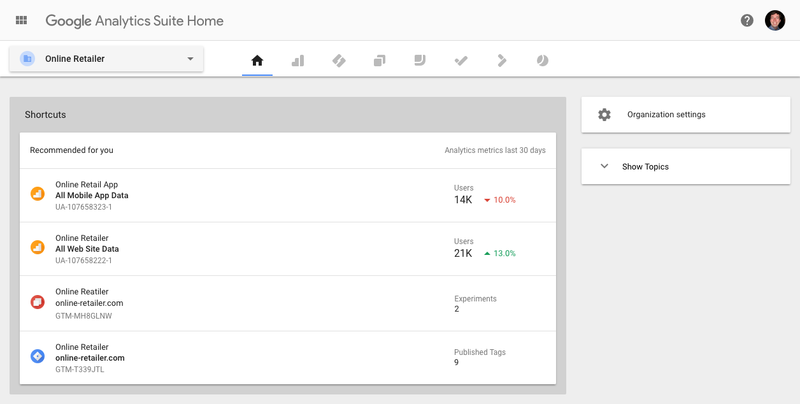 For example, you might see a large increase in visitors for a specific Analytics property, and then click through to Analytics to investigate where the visitors are coming from. Finally, you’ll get a unified user experience across products. Common navigation and product headers make it easy to switch between products and access the data you need. You can view accounts by organization, or see everything you have access to in one place. We’ve also redesigned search, making it possible to search across all of your accounts in a single place. If your business would benefit from these features, please visit this page to get started. You can also check out the help center for more info. These updates will be rolling out over the next few weeks, so please stay tuned if you don’t yet have access. 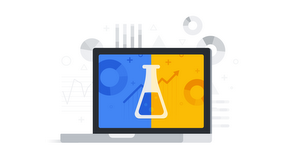 Note: If you’re using the enterprise versions of our products, like Analytics 360, you already have access to these features as part of the Google Analytics 360 Suite.